As May 1st approaches ever so closely Reptar treat their fans in excellent form introducing a second helping from the album Body Faucet. Simply head on over to the bands facebook page here and click like and the track is yours for the princely sum of zilch (In other words, It's free!). 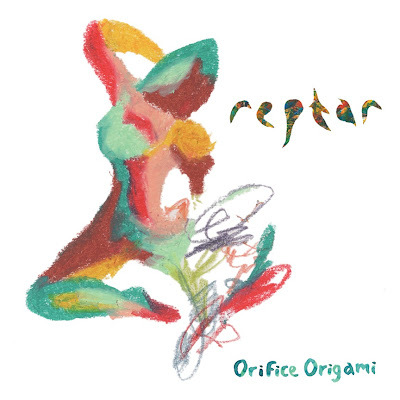 Orifice Origami hits hard with its summery vibes and joyous playful tones. A beautifully orchestrated track which I can't help but not grin from ear to ear throughout whilst listening. Body Faucet is truly shaping up to be my soundtrack to the summer at this rate. These guys are so fun! "Phonetics" is def my favorite of theirs. Might wanna check out Walk the Moon, too, their album is coming out 6/19, and they have some great tracks posted on their website! Walk the Moon are great! I remember seeing their awesome video for Anna Sun. I didn't know they had a debut alubm due though. Will be sure to check it out. Thanks!